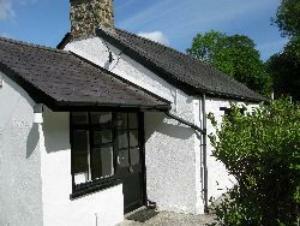 Typoeth Cottage01559 384483work Self-cateringSituated on a wooded lane in Carmarthenshire, the cottage is an 18th century listed building, offering peace and quiet not very far from the village of Llandysul. Surrounded by beautiful fields and woodland, the cottage is perfect for a couple wishing to escape the hussle of everyday life. It is comfortably furnished with plenty of natural light and both central heating and a multifuel stove for colder days. It has a secluded garden and is ideal for exploring local wildlife, going for walks or being active on the Brechfa Mountain Bike trail. It is centrally located for visiting Pembrokeshire, the Brecon Beacons National Park, Gower and the Cardiganshire coast. The services of a Blue Badge Guide and a Dog Trainer are also available. Situated on a wooded lane in Carmarthenshire, the cottage is an 18th century listed building, offering peace and quiet not very far from the village of Llandysul. Surrounded by beautiful fields and woodland, the cottage is perfect for a couple wishing to escape the hussle of everyday life. It is comfortably furnished with plenty of natural light and both central heating and a multifuel stove for colder days. It has a secluded garden and is ideal for exploring local wildlife, going for walks or being active on the Brechfa Mountain Bike trail. It is centrally located for visiting Pembrokeshire, the Brecon Beacons National Park, Gower and the Cardiganshire coast. Pets particularly welcome. Satbling and grazing available for those wanting to bring their horse. Quiet location. Listed cottage (Grade II). Stream at bottom of garden. Children welcome from any age. From Carmarthen, take A485 towards Lampeter. At the top of the steep hill at Alltwalis, turn left to Pencader. In pencader turn left after the war memorial. Continue up steep hill, straight along the top, down steep hill and at junction bear left. Cottage is on the left at the bottom. The cottage is all on one level, but is not suitable for wheelchairs as the opening between the kitchen and the livingroom is too narrow. Every effort will be made to accommodate disabilities.